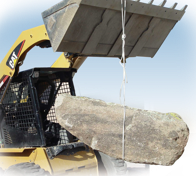 Arizona owned and operated since 2001, serving Arizona Builders and Homeowners coast to coast. in partnership with Latham Pool Products. 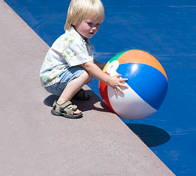 The Coverstar CS1000™ manual swimming safety cover provides many of the same key safety and savings benefits of our automatic swimming pool safety covers. The CS1000™ manual safety cover is well suited for smaller applications where automation might not be required, but safety and savings are still desired. There's no need to put the things you value most at risk. 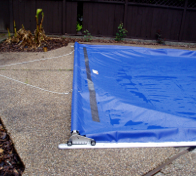 The CS1000™ manual swimming pool safety cover system is designed to give you the kind of peace of mind you need to truly enjoy your pool without worries. When budget constraints restrict the purchase of an automatic safety cover system the CS1000™ manual safety cover answers the call. All the same safety and savings found in our automated system become available for those who do not need automation. The CS1000™ manual safety cover harnesses the convenience of the industry leading Rocky Roller™ manual system to store and move the CS1000™ safety fabric. 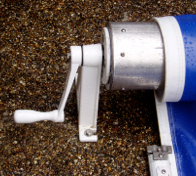 Connected to 6” roll tube, the Rocky Roller™ system makes it convenient and relativity simple to operate. Proprietary, non-stretch ropes eliminate most broken ropes. These special ropes are incredibly strong and far exceed the performance of standard ropes. The CS1000™ manual safety cover’s stainless steel wheel assembly helps to eliminate problems and corrosion. 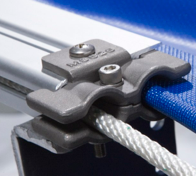 It is attached to the same top guide and leading edge bar found on our automated system, and you can be assured of the same reliability found throughout all our products. The guide feed on the end of the cover guides prevents the ropes from snagging and tearing the cover. Because they are made from stainless steel, they last almost forever. 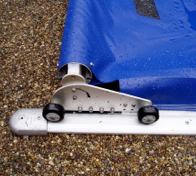 Other systems use plastic guide feeds that can wear out quickly and cause the cover to come out of the guide and fall to the bottom of the pool. 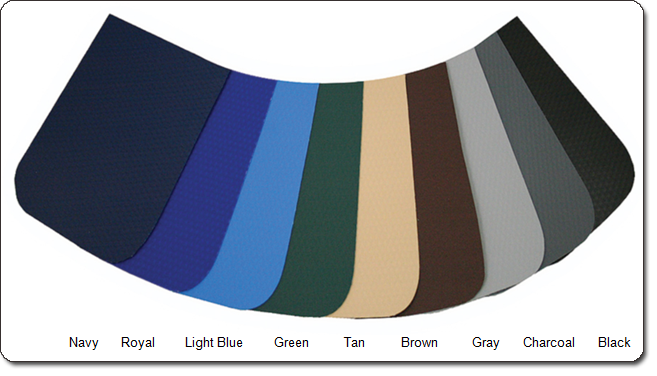 The following CS1000™ manual swimming pool safety cover colors can be found on all CS1000™ systems and replacement fabrics.